Stan Against Evil Archives - Horror News Network - The Horror News You Need! IFC has announced that Stan Against Evil has been renewed for a second season which is set to premiere in 2017. The horror-comedy series, written and produced by Dana Gould, first premiered on October 31, 2016 has been one of IFC’s most successful to date. While the series draws comparisons to another well known series, Ash vs Evil Dead, it has definitely found its own audience as it has demonstrated a steady weekly audience growth. 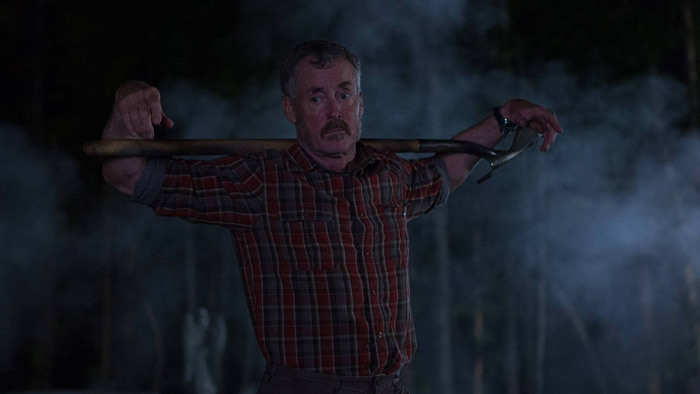 John C. McGinley (Scurbs) has been cast as the lead in Stan Against Evil. The IFC scripted-comedy horror series comes from writer Dana Gould. The show has a 10-episode order and will premiere in the Fall. Actress -comedian Janet Varney (You’re the Worst) is also cast in the series. The story is centered around Stanley Miller (McGinley), an aging, impatient and judgmental New England police sheriff who lost his position as top dog after an angry outburst at his wife’s funeral.